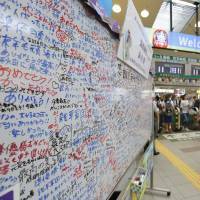 AKITA - A day after a northeastern public agricultural high school finished second in the popular Koshien summer baseball tournament on Tuesday, the nation was still abuzz over its victories against powerhouse teams en route to the final. Affectionately referred to as “Kana-no,” the baseball team of Kanaashi Nogyo High School of Akita Prefecture was beaten 13-2 in the final of the National High School Baseball Championship by Osaka Toin High School, a private school that won its fifth title. Notching up victory after victory, homegrown Kanaashi Nogyo beat traditionally strong teams made up of high-performing players brought in from outside their respective prefectures and was just one win away from becoming the first champion from the northeastern Tohoku region. During the tournament, the school was swamped with phone calls and letters of encouragement. 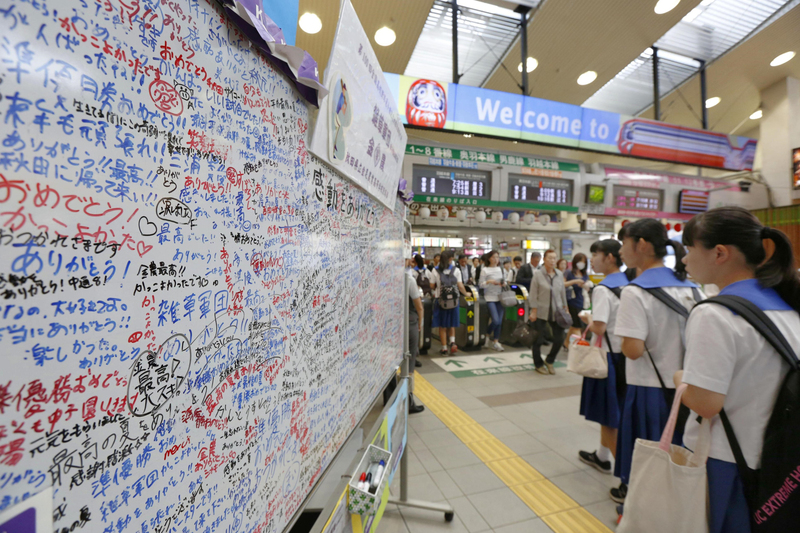 As most of the Kanaashi Nogyo student body went to Koshien Stadium, the venue for the tournament in the city of Nishinomiya, Hyogo Prefecture, to cheer on their team, the school had to change the start of the second semester from Tuesday to Thursday. The team has also raised the spirits of local residents working in the agricultural sector. “They created an opportunity for farming and agricultural schools to shine,” said Toru Nakaya, the chairman of the Central Union of Agricultural Cooperatives. The Japan Agricultural News, a daily paper specializing in agriculture, devoted much of its space to Kanaashi Nogyo every time the team won and advanced to the next round. A record 56 high schools participated in the 100th anniversary of the summer Koshien, which started Aug. 5.